I’m 9 years old and we getting presents for Sinterklaas (Dutch holiday), 6 december 1982 to be exact. I was amazed during the visit Firato some months before. Firato was an exhibition with the newest on hifi, video and more later also computers/gadgets. My father was interested in computers for his business. We enjoyed that fair and saw home computers becoming something interesting. Having a multi purpose computer at home for an interesting price compared to IBM Personal Computer. 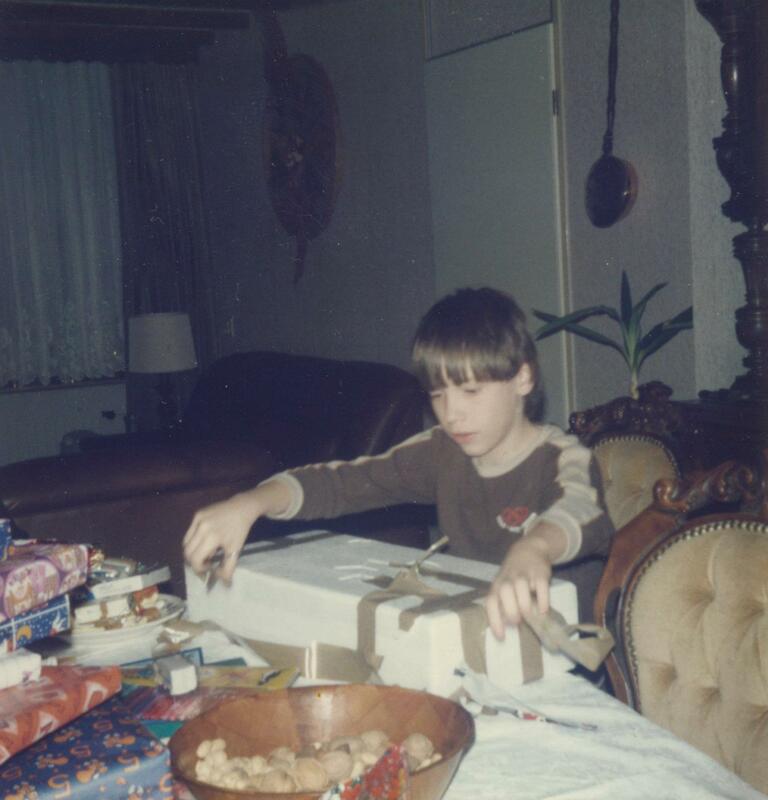 On Sinterklaas evening, like written before, I was unpacking my present. Unpacking with my eyes twinkling… will it be….? 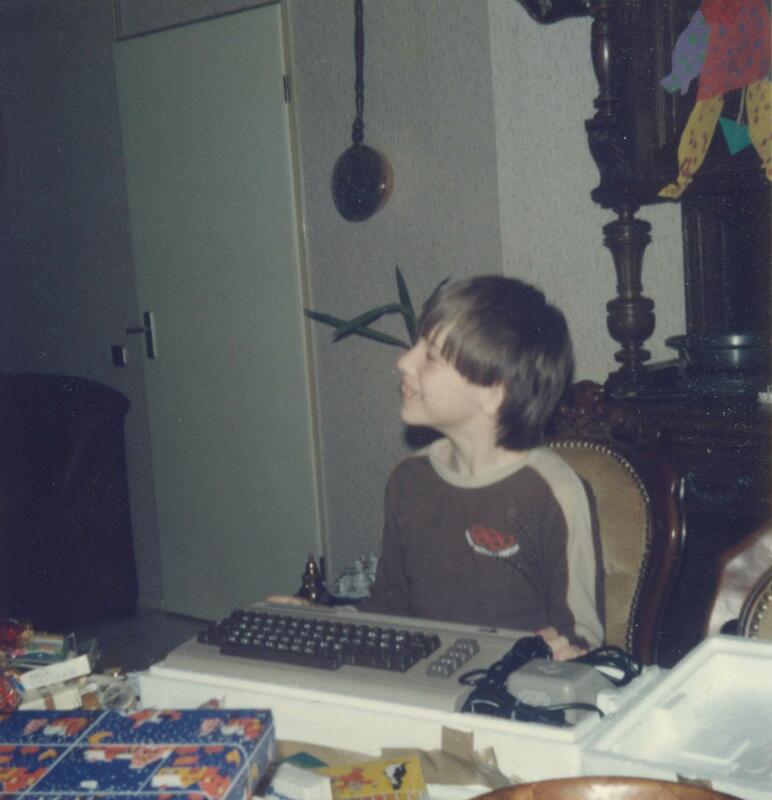 Yes… it is the Commodore 64 !!! That smile on my face tells it all, super happy. Thanks mom and dad. This computer will take an important part in my personal and business life. I still have this (working!) industry changing home computer.